Our experienced consultants will be available for the whole of the 2-day event to showcase our range of wafer probe stations and cantilever probe card solutions. We are always happy to discuss your specific requirements, and demonstrate how our solutions can help you achieve even your most ambitious probing goals. 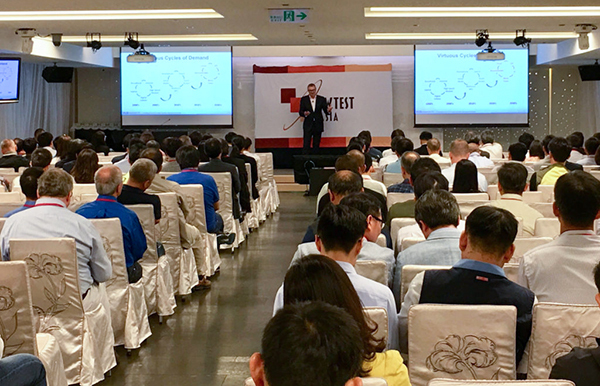 Benefiting from 28 years of history of SWTest in the US, this event offers unparalleled opportunities to network with semiconductor industry leaders in Asia. It is designed to help you stay at the cutting edge of the semiconductor wafer test industry and attendees will gain valuable insights into the latest innovation trends. For more information and to register for the event please visit the SWTest website.